On 27 - 28 March 2017 a regular Re-Audit at Pfizer Global Manufacturing in Kalamazoo was performed. A re-Audit is recommended every 2-3 years in order to check the facility for on-going GMP compliance. Two certified APIC Auditors performed the Audit during the course of two days. This Re-Audit was initiated by 6 customers of Pfizer. Due to the structure of the APIC Audit Program, the audit report is copyrighted by the parties involved. 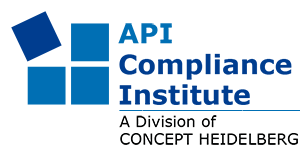 The API Compliance Institute controls the publication of the report and assures that the copyright of the customers and of Pfizer Global Manufacturing will be respected. The report can be purchased from the ACI only with the prior approval of Pfizer Global Manufacturing. The dates for the next Re-Audit have not been determined yet. Please contact us if you are interested in the report from the Re-Audit in 2017 or if you want to initiate the next Re-Audit.